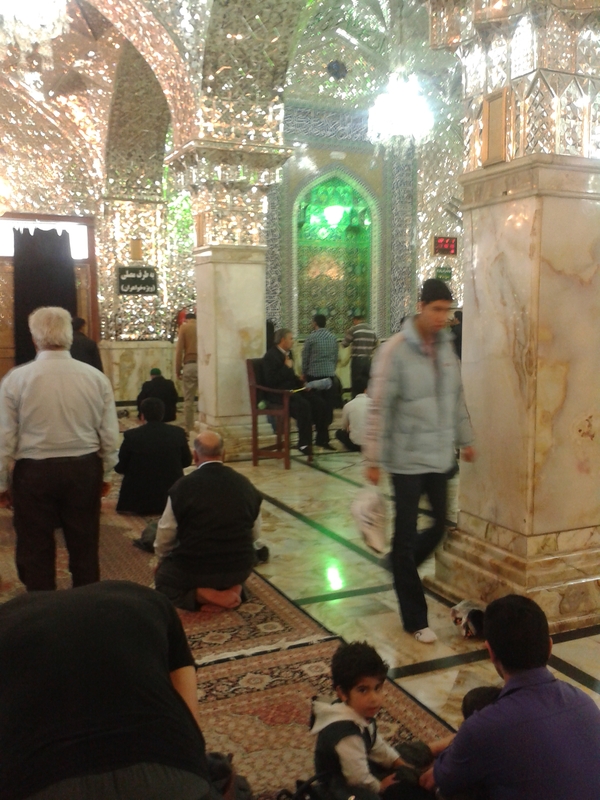 I just got back from a two-weeks research trip to Iran, and since I haven’t updated this blog for a while, this is the ideal opportunity for me to get back on here, and bring this embarrassing, nearly month-long silence to an end. So, I was in Iran on the quite specific task of sorting one chapter of my book – which I apparently did, and that’s good news. Among meetings, library work, lectures and social life, though, not much time was left to indulge in smelling around – which I wasn’t supposed to do anyway, being on a funded business trip. At any rate, whatever the objective of the journey, friends perfumers asked me to bring back some rose otto from the Kashan area – for which I had already established contacts from home. My contacts, however, proved unreliable and the moment I was about to finalise the deal, they made excuses about now being end season and attempted to rise the price by about 50%. I said goodbye, then, and gave up. Frustrated by the failure, I still needed to take a break from Tehran and managed to take a day off and head to Kashan. My intention was purely leisurely – the last thing I wanted was to spend a frustrating whole day at Kashan’s market, dodging the bazaris attempts to sell me perfectly recreated versions of the ‘pure’ rose otto of Ghamsar. 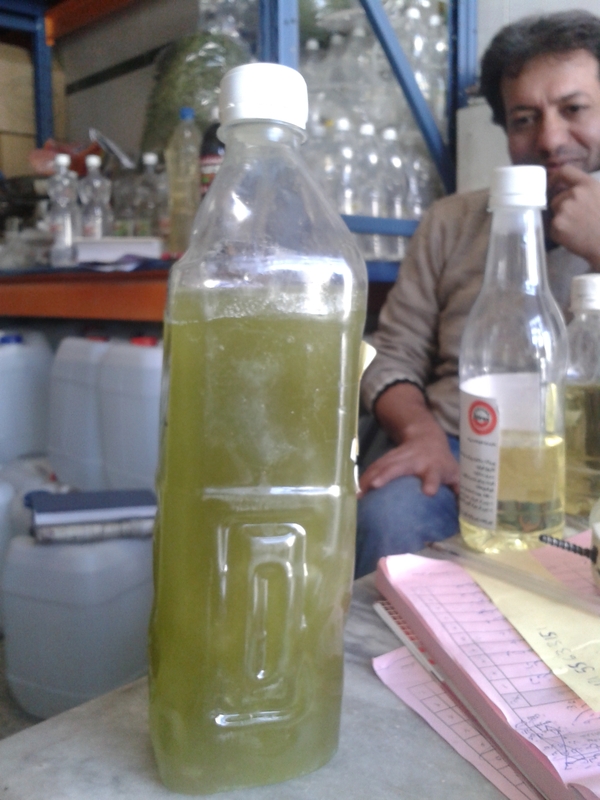 I was going to go to Ghamsar on an olfactory pilgrimage, very much like one would go to Grasse if he happens to travel in Provence – but I had totally given up all hopes to come to Tehran with the precious juice. 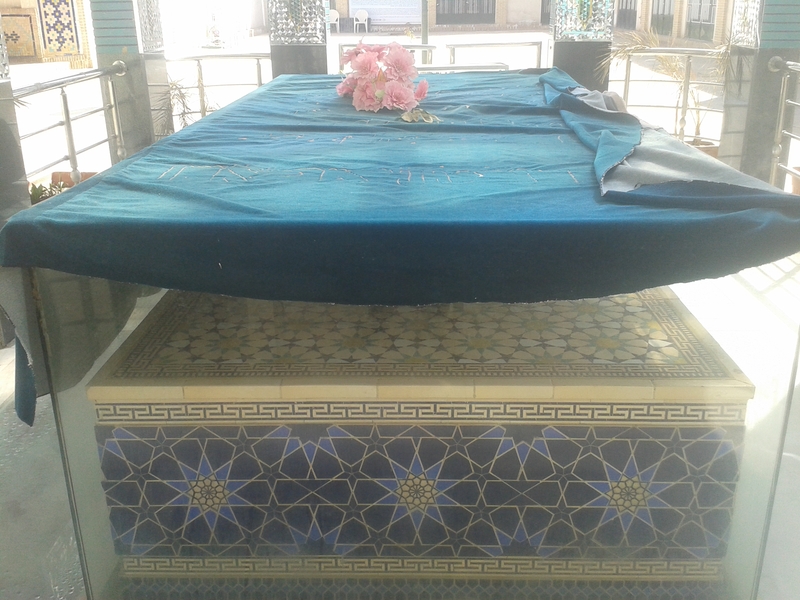 After a quick stroll through the bazar – where some retailers actually sell pure rose otto at ridiculous price, I set out for a long walk to the tomb of Faid-i Kashani, which is situated in a large graveyard some miles west of the town’s center. That was fine – once performed the ziyara, it was time for me to get head back in the direction of the town’s center and hire a car to Ghamsar. On my way back, I was attracted by a small shop – one of the many that sell tanks of rose water and other ‘araks. I asked, without much expectation, about the rose otto, which he had. I need a lot of that, I replied. – I know, dude (it’s how I’d translate baba jun, midunam). – How much d’you want of it? – Okay then, I give you an address – go there and they might have what you need. Now, the smell of it. I am not proficient in the olfactory analysis of different kinds of rose otto, and I couldn’t probably tell a Bulgarian otto from a Turkish or Moroccan one. But I can tell you how this one smells like (I am actually smelling it right now on my wrist): it has a candy, note that dominates throughout, probably less fresh than the Bulgarian and with something harsh to it. It’s floral, fruity and esperidic, with a honey note coming through slowly, yet steadily. It has an ineffable naughtiness that escapes all attempts to define it, an elusiveness that makes it simultaneously off-putting and irresistibly attractive. But it’s unfathomable and irreducibly beautiful and sad, but of a sadness that has more to do with nostalgia and longing than with mere absence and and despair: a desperatio fiducialis (and my Iranologist friends have surely gotten my drift). The texture, which had left me perplexed the first time I tested it, is waxy and semi-solid at room temperature, due to the high ratio of stearoptene (courtesy of Chris), but liquefies quickly when gently warmed. So that’s my report on Kashan. 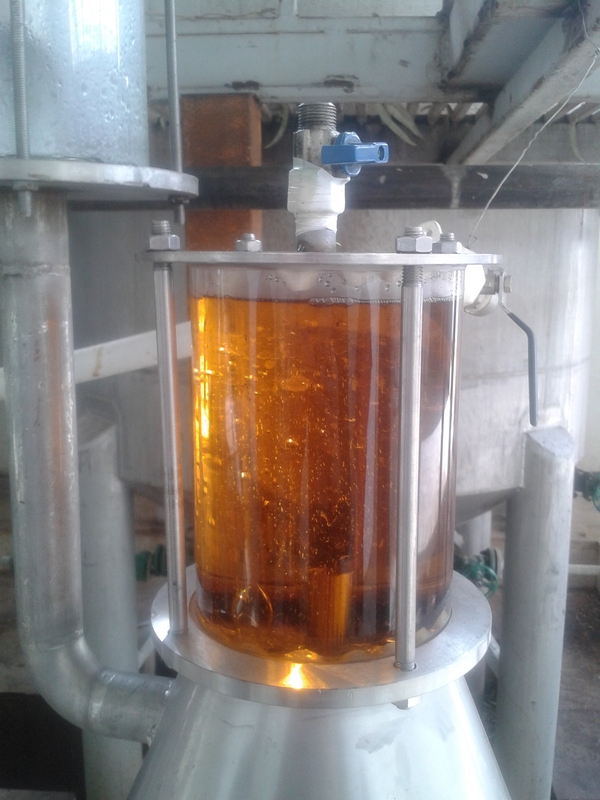 I failed to visit Ghamsar, which I intend to do sooner or later anyway, but managed to visit my vendor’s production unit, which was busy distilling eucalyptus. Off this trip, I have learned a couple of new things. The first is that the terminology is confusing. No one uses the term otto in Iran, and essence is not unequivocal either, being normally used to identify cheap synthetic blends sold by perfume shop in the market. Technically, one should rather talk about first and second oil, depending on the production process, but this is not viable either. The key term is ‘atr, which in Arabic and Persian is used to indicate ‘perfumes’ at large, but apparently it is also used for the Rose otto. The second is that the typical, omnipresent smell of rose, which is sold for few tomans in the bazars across the country and is so characteristic of Iran’s shrines is, all things considered, not unworthy at all. It may be cheap, it may be patently synthetic and somehow cheeky and straightforward – it is, after all, meant to replace the nobler ‘atr of the Muhammadian Rose (gol-e mohammadi, I was almost going to forget, is the name of the local species of the Rosa Damascena). However, I can’t help but associate it to my memories of that country and its shrines, mosques and imamzadehs. Nothing hugely sophisticated, to be sure, and often muddled with the smell of sweat, feet and the typically mild and understated Iranian spices. However, a defining blend that, when it comes to olfactory profile, speaks volumes of the genius loci. This is very interesting,You’re a very skilled blogger. I’ve joined your feewd and look forward to seeking more of your fantastic post.